create an academic and professional platform for discussing important themes of leadership and ethics. attract and guide students at the Th.M., Ph.D., and post-doctoral levels to research areas of interest for developing ILSE’s mission. attract steady sources of funding for scholarships, research projects, teaching chairs and administrative support. host conferences to stimulate original research into preferred areas of research. 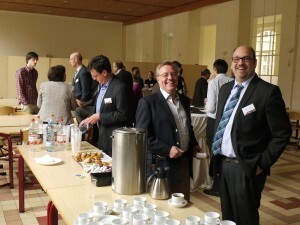 organize activities for professionals, such as the breakfast seminars and our one or two-day workshops. forge alliances with other institutions that work in similar areas to advance the mission of ILSE through networking and cooperation. This is done primarily through our events, original research as well as courses we teach at ETF. We invite you to take some time to look through past events and future events.